Isn’t that how the old saying goes? I’ve always wanted to be a godly sort of person, but if it is based on a state of cleanliness then what does that say about me? Why is it boys are such dirty little people? Really, I would just like for someone to explain to me why dirt seems to be attracted to my sons. For the past fourteen years, I’ve worked hard to get my boys cleaned up, and no matter what I do it seems as if there is always a trail of dirt following them around. If I get them clean behind the ears, then there is dirt underneath their fingernails. Even if the dirt isn’t visible, you can still smell it, a sort of little boy smell which reminds me of puppy dogs mixed with sweat, stale Cheetos, and wet sand. It’s not just their personal standards of cleanliness, either. My boys also have an aversion to clean bedrooms. Beds are always look rumpled. The nightstand is covered in papers, books, trading cards all piled in a precarious stack. The floor is littered with various wrappers, old broken pencils, yo-yos without a string, a dirty sock with no mate. Smelly clothes are piled into corners. Footballs, basketballs, and other sporting gear are scattered around the room, giving off an odor of old sweat. In fact, the whole place smells like an old locker room. Once a month or so, I go in, broom and Lysol in hand. I sweep and spray and dust. Two hours later, you’d never be able to tell I stepped even a foot inside the door. Jon assures me this is fairly normal behavior for most males, especially during adolescence. The stories he has shared from his own boyhood make me shudder. His poor mother, raising two sons. I can certainly relate! Still, Jon is a clean adult man. He puts his clothes away and brushes his teeth often. I have never noticed the scent of lingering locker room odor following him around. It gives me hope that one day my boys will indeed be convinced that cleanliness is a good thing. I like clean. I like the feel of clean sheets on my bed. I like the smell of walking into a house that has just been cleaned. I like the look of a clean home, no toys on the floor or dust on the shelves. Isn’t clean appealing? As much as I like it, I don’t do “clean” very well. When my kids were little, they were always the ones with rumpled, stained clothes, food on their faces, and hair that needed a good brushing. My car is the one with dirt on the windows and trash all over the floorboards. And at home … well, I keep the ceiling fans running year-round in hopes that no one will notice the thick layer of dust on the blades. There is almost always a stack of dishes next to the sink, a basket of clothes waiting to be folded, a carpet that needs vacuuming or a floor that needs mopping, and a variety of shoes strewn around the living room needing to be put away. I may like things clean, but keeping up appearances hard and I am often lacking. In my previous post, I wrote about moving. The thing I dislike most about moving is that it becomes evident just how much dirt shares my home. Move the sofa and no telling what you’ll find. I’ve discovered everything from lost library books and broken toys to old apple cores and enough pieces of popcorn to fill a large bowl. Move a bedroom bureau and there is likely to be a small collection of jewelry. The worst is the washer and dryer. Some enormous damp dust bunnies lurk behind those appliances! I’ve packed up many a home. Each of those moves has been similar in one way. Never once have I not been intensely embarrassed over the state of cleanliness of my home. I like clean. I want to be clean. But mostly, I just feel like a failure when it comes to having a cleanly home. Have you ever heard someone talking about living a “clean” life? Perhaps you can recall the press talking about a particular political candidate and his “clean” background (or not so clean past). How about meeting a person who claims to eat “clean?” Obviously clean living is something many people admire. Actually, my life has been rather clean. I’m 41 years old, never smoked tobacco products or used drugs of any sort. I rarely drink any alcohol, and I can’t recall a time in which I was actually drunk, though once I did get a bit tipsy. I’ve never had an affair. Sometimes I think that if I had a lot more charm and charisma, I’d make a great political candidate. After all, I’ve got a squeaky clean personal past. There is nothing in the world wrong with having a clean past. However, for a long time, I took a lot of pride in myself because of it. I felt better than others, as if I had achieved some goal by missing many of life’s pitfalls and traps. The thing was, I saw it as a credit to myself. Whether or not I wanted to admit it, I gave myself a high score on being closer to achieving godliness than I did to others. How critical and judgmental of me! It took a rather big, ugly blot on my mostly spot-free, clean life for me to begin to see the truth about myself. My life might have looked nice and neat on the outside, but inside my soul was one big mess. I didn’t want anyone to know that I was less than perfect, so I hid things … mistakes, character flaws, imperfections. The closets of my heart were filled with the broken, ugly things of my life. Giant dust bunnies lurked in the shadows of my soul. It wasn’t until my life crumbled around me that I stopped to examine the inside of who I was, and what I found there was not at all beautiful. The unattractiveness of the truth of who I truly was shocked me. Cleanliness is so much more than what our lives look like on the outside. It’s all about what Christ is doing on the inside of our lives. And it has to be what Christ is doing in me, because I certainly can’t change by myself! The thing about letting Jesus into the home of my heart is that He isn’t content to sit around in my spruced up living room with the matching throw pillows. He doesn’t want to sleep in the guest bedroom either. Nope. Jesus comes in, not as a guest, but as the new owner. He turns off the ceiling fans, revealing the dust on each blade before wiping them clean. He takes a look under the beds, pulling out the stray shoes. He pulls back the furniture, to sweep and mop back there. He tackles the utility room closet, where I have stuffed and crammed every yucky sin I can possibly fit inside until I knew that if I dared to open it up everything inside would tumble back out. He even begins “heart improvement projects” … tearing down complete walls, ripping up old carpets and overhauling entire areas from top to bottom. None of this feels good at the moment, but afterwards … oh, it is clean inside. I don’t know if I actually think cleanliness is next to godliness. Rather, I think real, true cleanliness is a work of God. And when I look at it that way, my soul cries out asking which room of my heart He wants to clean NEXT. 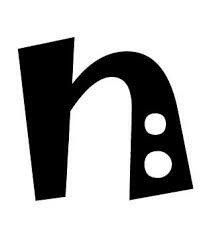 N is for giving God permission to clean up the NEXT area of my heart. Where is God working in your heart? What areas has He tackled? What might He want to do next in your life if you are willing to let Him in your life? Boys spell mess!! Absolutely. After moving in with my husband and his younger brothers after marriage, I tried to keep my brothers-in-law’s room in order. I gave up a couple of times. I like having a clean home, but I can’t really tidy up unless I’m in the mood to do that.